I’m really into albums from 1971 these days, for some reason. I guess I’m just swept up in the memories they inspire – you know, me at -7, eating Tootsie Pops and playing four square while living in the twinkle of my pappy’s eye. Like any aspect of Beatles history, the band’s attempt to get back to its roots on its muddled-with-patches-of-brilliance swan song, Let It Be, has been analyzed to death. But you don’t need an insider biography to tell you that Paul McCartney was leading this charge towards stripped down rock and blues constructions. 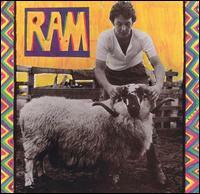 All you need as evidence are his first two solo records, 1970’s jarringly spare McCartney and 1971’s Ram. The latter is the much stronger album, presenting the ideal mixture of the farmhouse rusticity Macca was obsessed with and the gloriously produced melodies that have always been his strong suit. You’ve got the unadorned Delta blues of “3 Legs” and the light, scatman folk of “Heart of the Country,” as well as the beautiful Beach Boys harmonies of “Dear Boy” and the looking-ahead-to-Wings power ballad “Back Seat of My Car.” Unlike any other McCartney album, Ram never goes to extremes; even Linda’s hopelessly flat back-up vocals fit the homestyle milieu. The Cute One went on to do some great things, but he never again made an album as balanced as this. 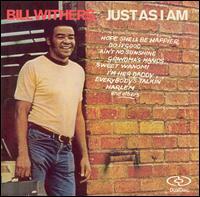 Bill Withers is the quintessential R&B folksinger, and this, his debut album, is prime evidence to back up that claim. Over the course of a dozen tracks, the music world was introduced to the steady, hypnotic bluesiness of Withers’ voice, his soul-infused acoustic guitar playing, and the gut-wrenching drama of his songwriting. Withers tells gripping stories as easily as he delivers those buttery vocal runs – “Grandma’s Hands” mourns the loss of a matriarch; “I’m Her Daddy” is the stirring plea of a man who realizes he has a six-year-old daughter; “Better Off Dead” is a suicide note from an abusive alcoholic. Producer Booker T.’s arrangements are subtle and tasteful throughout, letting Withers’ glue-you-to-your-seat tunes carry the day – just thinking about “Ain’t No Sunshine” gives me goosebumps. 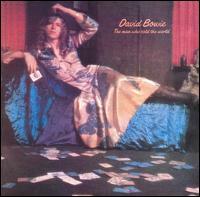 Few artists have dabbled with as many different styles as David Bowie. But until I heard The Man Who Sold The World, I didn’t realize that prog-rock and early metal were on the list. Before the pop perfection of Hunky Dory or the conceptual, glammed-out brilliance of The Rise and Fall of Ziggy Stardust and The Spiders From Mars, there was this album – a loud, roughshod recording dominated by huge guitars and huger concepts. “Running Gun Blues” is an unflinching Vietnam critique, “All the Madmen” a harrowing depiction of a man about to be released from a sanitarium, “Saviour Machine” a plea from a governmental leader to help him kick his power addiction. It’s all bathed in chugging Sabbath riffage and epic early-Zeppelin arrangements – while the towering melodies and glamorous sensibilities of classic Bowie are ever-present, the guy never rocked harder than he does here.